The Apprenticeship Levy came into effect April 2017. If you pay the Apprenticeship Levy, you should have signed up for a digital account in January. This account is specially designed for organising payment for training and assessment. Less than 2% of businesses are required to pay the Apprenticeship Levy. Those with yearly wages bills of £3 million and above are accessing the digital service. The government has levied the largest companies to fund, and part fund, apprenticeships across England. Since April, businesses paying the Levy started taking on new apprentices using the digital account system. Since its launch in 2010, the apprenticeship programme has already enabled 2.9 million apprentices to learn new skills. By 2020, the government hopes to raise £2.5 billion for apprenticeship training and assessment, creating a skilled workforce. The Apprenticeship Levy is essential for making sure that more people have the chance to train as apprentices. Skills minister recently referred to the system as a “ladder of opportunity” giving “people of all ages and backgrounds” the chance to become skilled workers. The government wants to help employers to build a skilled workforce fit to “compete on the world stage”. This is the reason the Apprenticeship Levy started being paid in April. In order to build a better workforce, a high standard of training is required for apprentices. Only Levy-paying employers need to access funds using a digital account. The apprenticeship funding system is comprised of 15 bands each with its own upper limit. All apprenticeships receive designation to one of these bands. Upper limits range from £1,500 to £27,000. Under the funding system, employers see the maximum amount of funding for each apprenticeship. This enables employers to get the best value from the system. The register allows employers to seek the best quality providers for their apprentices. Employers are urged to find the best training to meet today’s standards. With the system in place, employers choose specific training from the register of high-quality providers. Businesses with an annual pay bill of £3 million or more pay the Apprenticeship Levy. But how do you ensure you can recoup all the money you pay each year in Apprenticeship Levy? Companies paying the Apprenticeship Levy want to know the best ways to use the money in their digital accounts. You can start the process of accessing our services by asking our advisors any questions you have about the process of taking on new apprentices. This is our chance to reassure you about our services and outline what you can expect from us. A consultation gives us the chance to discuss all your options with you. This is essentially an opportunity to find out how your business is most likely to benefit from the digital apprenticeship service. Feel free to ask any questions you have about our services. After your consultation, we will have enough information to create a plan that is best for you. Many companies don’t yet have any apprentices. In order to recover your Levy funds, you may need to start training many apprentices at once. All this takes time and effort to arrange. The process can be quite overwhelming if you haven’t taken on apprentices before. Apprenticeship Levy consultation services can take the headache out of making all the arrangements by doing all this for you. We will create a plan, tailored to your specific needs. This ensures your business gets the most out of the new system. Only approved training and assessment can be paid for with the funds in your digital account. By choosing our Apprenticeship Levy services you can rely on us to work with only the best training and assessment providers. This way, you recoup 100% of the funds in your digital account. We help you every step of the way to make things easy. Our Apprenticeship Levy employer guidance has been put together to help you, the employer, understand how you can benefit from the changes the Levy has brought. This guidance answers some typical questions employers have about these changes. Continue reading to discover the answers to the following questions. The Apprenticeship Levy was announced by the government in the summer of 2015. This Levy comes in the form of a contribution from companies with the highest wages. By 2020, the government hopes to be able to fund 3 million new apprenticeships. All this is going to be paid for by the Apprenticeship Levy. When did the changes happen? The changes took effect in April 2017. The Levy is paid through the existing PAYE system. Employers with annual wages of £3,000,000 will be obligated to pay the Apprenticeship Levy at the rate of 0.5%. The new system has been specially designed to allow employers across England more control when arranging training and assessment for their apprentices. This has been planned to enrich the workforce with properly trained personnel. At the moment is it thought that 2% of businesses pay the Levy. Employers receive a £15,000 allowance which is offset against their Levy payment. How are apprenticeships paid for? 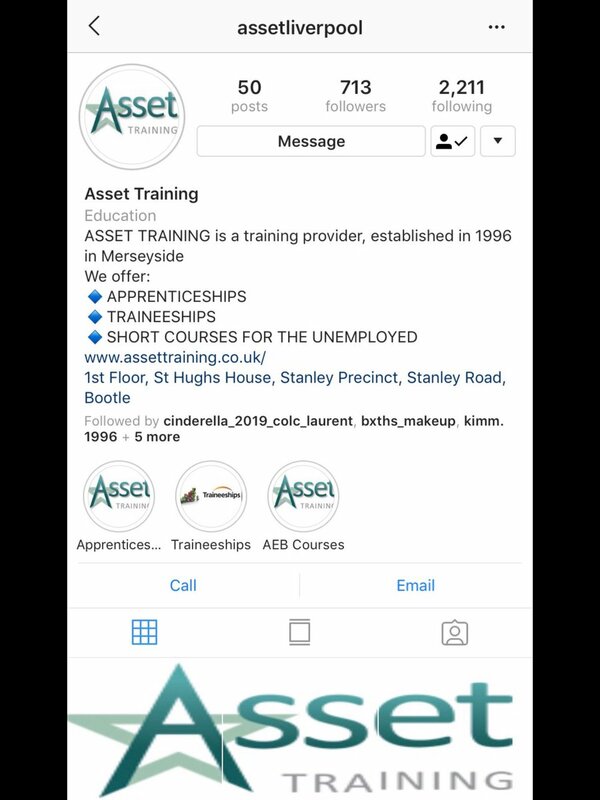 Employers have created an online account, and you are able to use this account to arrange training and assessment for your apprentices. Payment is arranged through your digital account. Many employers receive 90% of the cost for training and assessment. Those with school or care leavers receive an extra 10%. Apprenticeships are placed in funding bands specifying the cost of training. This lets you know how much it’s going to cost for the training of your apprentices. The Apprenticeship Levy creates more opportunities for employers and young apprentices. With more apprentices undergoing training, England’s workforce is going to become more skilled in the years leading up to 2020. Whether you have a small or large business, apprenticeships are likely to be a part of your company’s future. With greater flexibility in crafting apprenticeships, employers have more choice with the changes that have taken place. The government has introduced the Apprenticeship Levy. This has changed the way apprenticeships are organised and paid for. Employers with a pay bill in excess of £3 million per year are required to provide the funding. More about the Apprenticeship Levy and what it could mean for you is explained below. Employers across all employment sectors are required to pay the Apprenticeship Levy. Only employers with a pay bill in excess of £3 million are obligated to pay. This is estimated to be about 2% of businesses in England. The Levy is charged as a percentage of the yearly pay bill. If your business is affected, this is 0.5 % of your yearly pay bill. The Apprenticeship Levy is payable to the HM Revenue and Customs via the PAYE process. You receive a bill based on the wages subject to secondary National Insurance Contributions at Class 1. All wages count in calculating the bill, even those below the threshold. Wages include any money gained through employment. This also includes commission, bonuses, and pensions. At a glance, an employer paying annual wages of £5,000,000 pays an Apprenticeship Levy of £10,000. Your Apprenticeship Levy will be paid to HMRC. Employers gain access to a Levy allowance which accumulates as the year progresses. The Apprenticeship Levy allowance is offset against your bill. This amount totals £15,000 every year. You can access funds for your apprenticeships by creating an apprenticeship account. This is the gateway for employers looking to fund apprenticeships and arrange training. The Digital Apprenticeship Service has been available since January 2017. Your apprentices need you to choose the right training for their apprenticeships in your company. The government encourages employers across England to get involved in providing apprenticeships by training new people. You can choose from 2 different types of apprentice training. • Apprenticeships following an existing combination of work and learning called “apprenticeship framework”. The government plan to end the offer of apprenticeship frameworks by the year 2020. With all new learners completing apprenticeship atandards. An approved training provider makes sure your apprentices get the training they need to do the job well. The Digital Apprenticeship Service delivers a list of approved training providers needed to help your apprentices to excel. Training must be approved in order for funds to be made available. You can spend the funds in your digital account towards the cost of training and assessment for your apprentices. Only approved training and assessment providers are to be used when spending the funds in your digital account. The funds are only available to spend on training and assessment. They can’t be used for any other costs associated with work. How does the Apprenticeship Levy work in practice? This article outlines the key changes in how employers are affected. The government have changed the way apprenticeships across England are funded. Key employers paying the most in wages each year are required to foot the bill. Funds are accessed through an online account system. Employers across England are affected by the changes that have happened. The way that employers arrange, pay for, and access apprenticeships and training has changed. All this is made possible through a digital account system. Employers paying the most per year in wages contribute the highest amount of Apprenticeship Levy. If your yearly pay bill is less than £3 million there is nothing to pay, but you’re still able to access funds to arrange and pay for training and assessment from 2018. The digital account system was implemented to guide employers through the process of selecting and paying for apprenticeship training. The Apprenticeship Levy works by ensuring that funding is available for approved apprenticeship training. Employers paying the most wages each year will pay 0.5 % of their pay bill as an Apprenticeship Levy. This is paid through PAYE to the HRMC. Funding is made available through a digital account available for employers wanting apprentices. Employers paying the Levy are able to create an online account. You use this account to choose a training provider and get the funding you need for your apprentices. Apprenticeships are placed in funding bands to give employers an idea of the maximum they should expect to pay for apprenticeship training. Only approved training can be paid for with Apprenticeship Levy funds in your digital account. The Apprenticeship Levy funds in your digital account are only available to you for training and assessments for your apprentices. The funding is not allowed to be used for any costs associated with employment or wages. You receive financial help up to the maximum in the funding band for your apprentices. What if my apprentices started work before April 2017? If your apprentices started working before April 2017, the apprenticeships are funded in line with your previous arrangements. Funds in digital accounts are not to be used for this purpose. New apprentices stand to benefit the most from these changes. What if my account doesn’t contain enough money to cover the costs? You don’t need to gain access to the total cost of training and assessment at the beginning of the tax year. This is because your training providers will get paid each month. Employers gain access to a Levy allowance which accumulates as the year progresses. This reimburses you with the money you spent on training and assessment for your apprentices. This article has been put together to offer employers guidance about how to access and spend Apprenticeship Levy funds. After the 2015 Budget, the Chancellor announced the Apprenticeship Levy as a way to reach the target of 3 million apprenticeships by the year 2020. Around 2% of English employers pay the Apprenticeship Levy, and many more businesses benefit by receiving funds for training new apprentices. Extra help has been promised for employers taking on apprentices aged 16 to 19 and care leavers. Why is the government introducing the Levy? The government introduced the Apprenticeship Levy to help employers to enrich the workforce through training apprentices to the highest standards. Previously, not enough was being done to help this process. When the Levy was introduced more opportunities for businesses and apprentices throughout England were created. How do I access my Levy funds? If you pay the Apprenticeship Levy, you start the process by creating a digital account. The digital account will be a portal to funds, training, and assessment. Levy funds are paid as digital vouchers. It is hoped that all employers will use the Digital Apprenticeship Service by 2020. What are the Levy funds for? Levy funds can only be spent on training and assessment for your apprentices. You can’t use Levy funds for any other costs associated with employment. Top up payments of 10% will be made to your digital account with the Levy payment each month. When will apprenticeships be funded? Apprenticeships started from May are eligible for funding if you pay the Apprenticeship Levy. Funding will also be available for non-Levy paying apprentices. More companies benefit from the new service from 2018. The Digital Apprenticeship Service gives employers the extra help they need with funding issues. What extra help is available for businesses taking on school and care leavers? Employers who take on 16 to 18-year-olds or young people leaving care, the government has promised extra support to help with employment costs. You can access the digital service by setting up an online account. Levy payments from the government go into this account. The Digital Apprenticeship Service is available for companies paying the Apprenticeship Levy. By 2020, it is hoped that all businesses will arrange and pay for training using the Digital Apprenticeship Service. You can read all about the new employer guidance HERE.